Many honeymoons take place on a warm, sunny beach in tropical paradise, sipping a Mai-Tai and watching dolphins frolic in the surf. But to some newlyweds, that sounds like the most boring vacation possible. If you’re looking for an adventurous honeymoon, you’re guaranteed to find something that both you and your beloved will enjoy. A lot of these alternative honeymoons are affordable too, so you’ll save money in addition to the money you save by visiting cheap-car-rental.com. Goodbye are the days of cruises and beach resorts, the new era of honeymoons will really bond you two in love’s holy matrimony. Check out these ideas for alternative honeymoons if beginning to collect ideas on where you want to go! Sure, it would probably not be fun to be eaten by lions during your first week as husband and wife, but you’ve got to live a little, right? Don’t worry; you’ll be safe on a life-changing experience to Africa. Many newlyweds are choosing far away African countries like South Africa or Kenya for amazing honeymoon experiences. You can find beautiful resorts in the region that are relatively affordable. If you’re a fan of wildlife, than a honeymoon to Africa could be the perfect trip. You’ll see all kind of animals that are only visible in zoos in most of the world. You’ll also experience beautiful beaches and pristine views if you head to Africa’s coastline. If you and your newlywed are up for an adventure, consider taking a train trip across some distant land you both have wanted to visit. Taking a long train trip can be relaxing and very enjoyable, and usually affordable too. You could choose between a fast paced train trip through Europe, where you’d purchase the rail pass and be able to experience many countries in a short period of time, or you could choose a more relaxing train trip, like one through the Canadian wilderness where you can sit back and take in the amazing views. You’ll appreciate the area you visited much more after taking a train trip there. Luxury tree houses are popping up more and more and are becoming a very popular choice for honeymooners, due primarily to their reclusiveness and beauty. 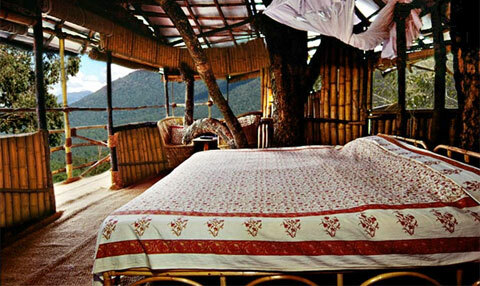 Tucked away in all corners of the globe you can find tree house resorts that feature rooms built high into the trees. It can be a bit intimidating at first, but once you realize that you’re secure you’ll feel so connected with nature that you may want to quit your job in the city and move out to the woods. All tree house resorts are a little different. 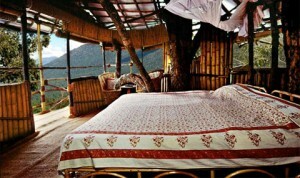 While some offer more amenities like pools and restaurants, many are simply a luxury room high up off the ground. Glamping, a combination of the words glamour and camping, has taken off in recent years. It’s essentially camping with the amenities of a hotel or resort. You’ll feel connected to nature, but you also won’t be soaked in a falling apart tent. You’ll find beautiful bungalow type accommodations, hot showers and delicious meals. Glamping is popping up just about everywhere around the world, so if that’s something you’re into then you should go glamp!